This is an amazing opportunity to own one of four, 2-story Mainsail Condo. 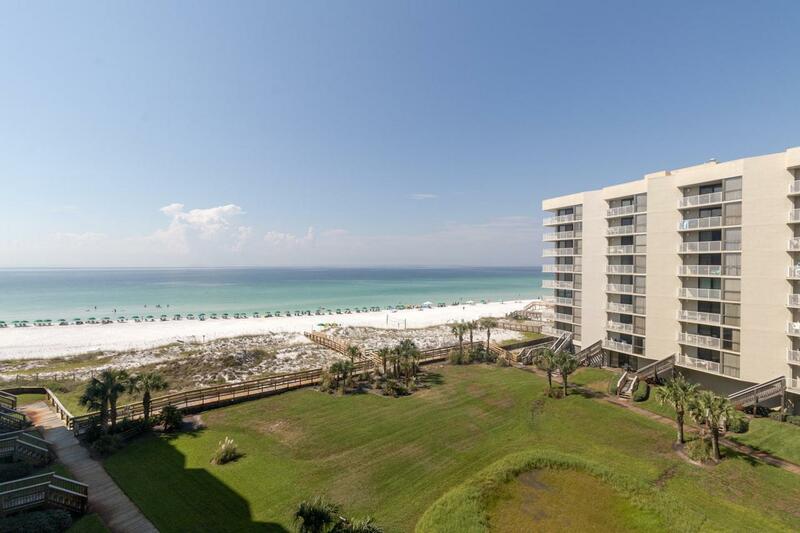 This large 3BR/3BA, 2,028SF Condo features 2 master Suites, 2 balconies, & amazing views of the Gulf & Beach. The first floor features a large open living space with cathedral ceilings & gorgeous views of the gulf. The kitchen has a breakfast bar, white appliances, & a utility closet with washer/dryer. The 1st floor master suite has private balcony access, mirrored wall, & tiled shower. Upstairs you will find a second master suite with private balcony & a 3rd bedroom with private bath. Other features include tile floor throughout the living space, crown molding, plantation shutter, & owners' closet. Mainsail amenities include 24hr security, 2 large pools, tennis, & 700FT of deeded beach. See you at the Beach!